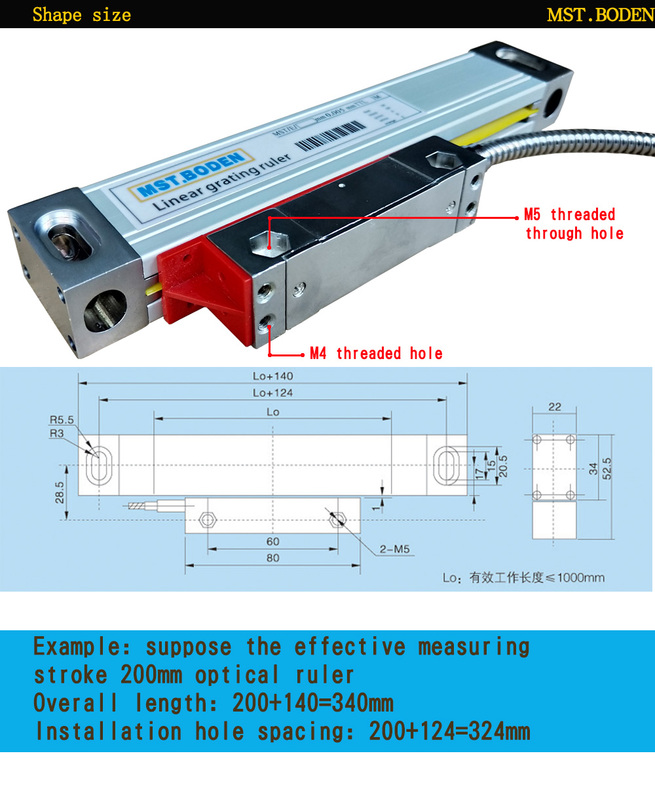 The center position of the stroke should be at the center of the machine stroke, and the grating ruler must be guaranteed. 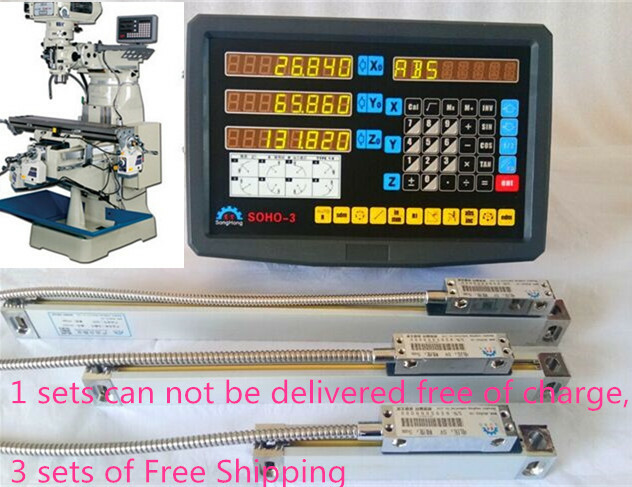 The actual range is greater than the maximum stroke of the machine tool. (2) the priority principle of installation is that the grating ruler should be installed near the driving screw rod of the machine tool. After installation, the grating ruler body moves along the worktable, and the reading head is fixed on the machine tool. 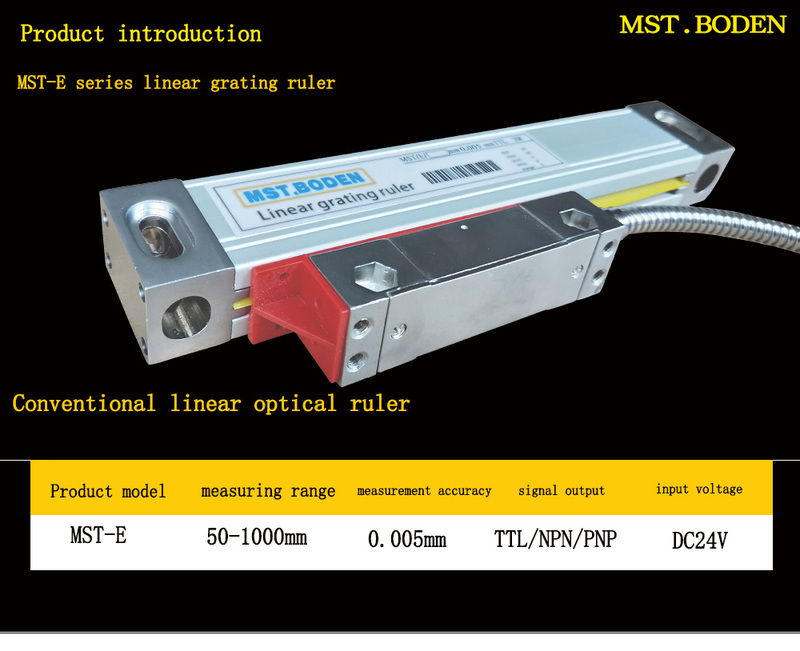 (3) the installation of grating ruler should not obstruct the operation of machine tools, and will not reduce the original use of machine tools. (4) after installation, the grating ruler should not be easily impacted. In case of processing, it does not obstruct the machine. 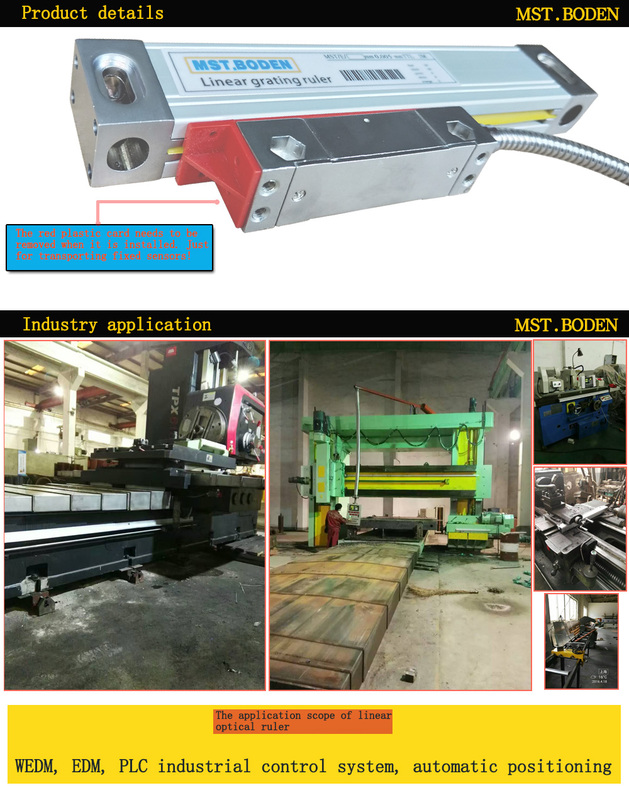 The influence of the handle of the bed, the brake device or other protruding parts and the time when the workpiece is lowered. 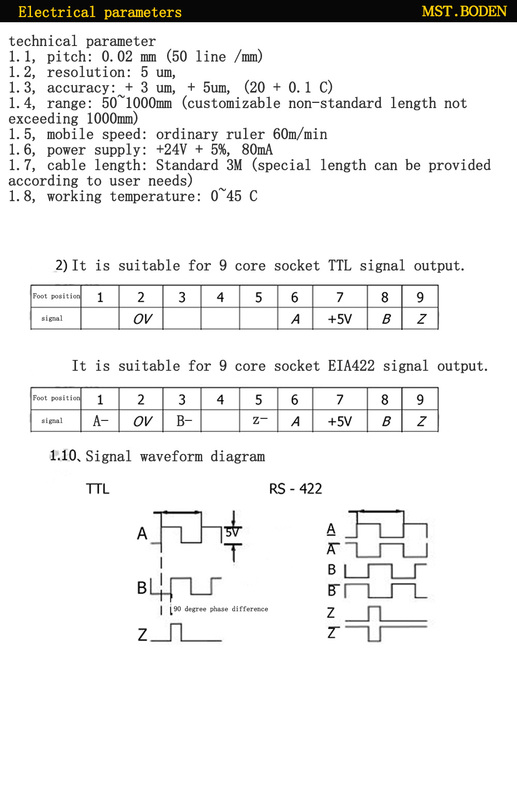 (5) the installation of time grating gauge housing needs grounding to ensure signal integrity. 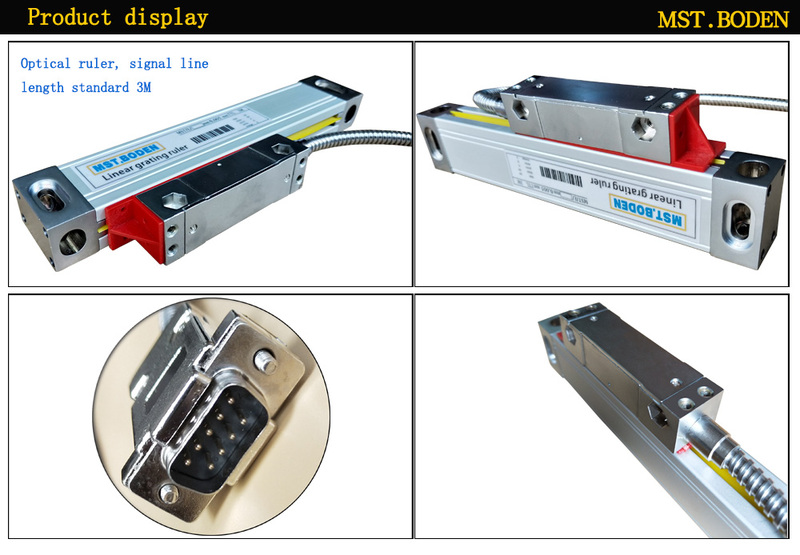 (6) when installing, the parallelism and perpendicularity of the general machine tool grating ruler and the guide rail are required. When you place an order, plase choose a shipping method and pay for the order including the shipping fee (except free shipping). We will send the items within the delivery time once your payment is completed. We will inform you if need to change to other shipping method or delay shipping. We will refund you if you return the items within 15 days of your receipt of the items for any reason. However, the buyer should make sure that the items returned are intheir original conditions. If the items are damaged or lost when they are returned, the buyer will be responsible for such damage or loss, and we will not give the buyer a full refund. The buyer should try to file a claim with the logistic company to recover the cost of damage or loss. We offer the1-month free replacement. Buyers may request for a replacement within 15 days from your receipt of the product. The buyer should return the product in the original conditions to us and should bear the shipping costs for return. We also provide 12-month free maintenance. The buyer should return the product in the original conditions to us and should bear the shipping costs for return. If any part is required to be replaced,the buyer should also pay for the costs of the parts to be replaced. Your satisfaction and positive feedback is very important to us. Please leave feedback and 5 stars if you are satisfied wiht our items and services.